Age : 32 / 37 years. Age : 45 / 50 years. 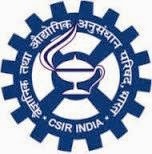 How to Apply : Application in the prescribed format should reach The Administrative Officer, Central Electronics Engineering Research Institute, Pilani - 333031 (Rajasthan) by 28/04/2015 with attested copies of certificates and DD of Rs.100/- (No fee for SC/ST/PH/Women candidates) in favour of Director, Central Electronics Engineering Research Institute, Pilani (Rajasthan) payable at Pilani.